Storage boxes are a convenient method of getting rid of clutter from a home, or storing items that you aren’t going to use for a while. The storage boxes can then be placed in your basement, attic or even a self-storage facility. One of the issues you have to anticipate is the growth of mold within the storage boxes, as a result of the presence of moisture around the box. This could result in damage of the items in the storage boxes, or spreading of mold to other parts of the house if the storage boxes are stored within the house. Preventing this requires one to take measures to eliminate any mold that has accumulated, and to also prevent mold growth in future. Before putting storage boxes in any location, it would be wise to first have a mold inspection in Mississauga done. This detects the presence of mold in the storage area, and mold inspectors can help to remove the mold before you store your boxes there. In addition to that, this can also help you look out for other factors that would influence mold growth, such as the presence of too much humidity which may need to be gotten rid of. Several strategies can then be used to put the storage boxes in storage in such a manner that they will not be affected by mold growth. For one, you could eliminate the causes of mold growth in the area as stipulated above. Firms that do mold inspection and removal are very good at also providing preventative services, such as identifying and removal of sources of humidity which could encourage mold growth. Once you are sure that the risk of mold growth is significantly reduced, you can then put the items in storage. The use of desiccants also proves to be very effective in controlling mold growth in such settings. Desiccants are chemical agents which absorb moisture from the environment, thus reducing the humidity that the mold spores need in order to proliferate. Ideally, these desiccants should be kept within airtight storage boxes. This way, they will eliminate all the humidity in the compartment without being depleted, thus keeping the air dry for a long time. When they are exposed to air, the desiccants will absorb moisture up to the point where they are completely saturated, after which this effect will no longer work. It is important to choose desiccants carefully for this role; they need to be effective and should be designed to absorb the expected amount of moisture in the storage area without becoming saturated. If you opt to keep the storage boxes in self-storage units, you can also opt to spend money on those that have climate control features. This is particularly so if in addition to mold growth, you also don’t want the items in storage to be affected by the humidity. Sensitive wooden items are usually most prone to this. Self-storage units with climate control are usually more expensive than regular ones, but are worth it in the long run especially if you want to get rid of mold growth as much as possible. Once you have put the storage boxes in storage, it would be wise to regularly inspect them for mold particularly if they are to be in storage for a long time. Doing this regularly, such as every 3 or 6 months, ensures that any mold does not spread extensively, which can become difficult to control. It is wise to have this done using the help of a mold inspection specialist, since mild mold infestations can be difficult to identify and eliminate on your own. February 28, 2017 in Blog. 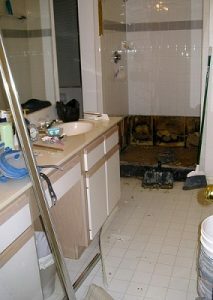 Mold Inspections Toronto in Acton, Alliston, Aurora, Ajax, Barrie, Beaverton, Mold Removal Toronto in Brampton, Bradford, Bolton, Burlington, Caledon, Mold Expert in Etobicoke, Georgetown, Hamilton, Keswick, King City, Markham, Milton, Mold Testing in Mississauga, Newmarket, Mould Inspection in North York, Oakville, Orangeville, Oshawa, Pickering, Richmond Hill, Thornhill, Black Mould in Toronto, Scarborough, Stouffville, Vaughan, Woodbridge and Air Testing in Whitby and more. Please provide your name and number and one of our consultants will call you back shortly.